A lively and friendly area which is normally used by members, but non-members are more than welcome to use this area. The "Tap - Inn" is a large comfortable lounge area which is open to the general public, it has Sky TV and serves snacks/light meals and afternoon tea. The room converts into a fantastic function area for weddings, birthday parties and special events. Our funtion room can seat up to 110 people, it has a wooden dance floor and it's own bar. Our upstairs lounge, accommodates up to 40 people for business meetings, seminars and smaller functions. It also opens out onto the balcony overlooking the first tee area. Our snooker room has one snooker table along with a seating area for visiting parties and small groups to use when the function room is in use. The use of the snooker room is available to members and their guests. The Ladies and Gents locker rooms have recently been enlarged and refurbished to the very highest standards thus providing excellent changing and showering facilities to members and visiting parties. 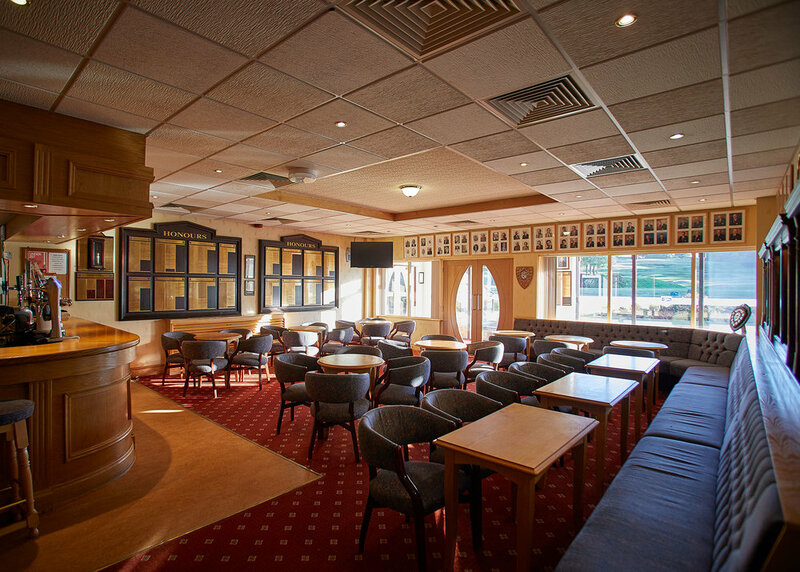 Saltburn Golf Club is able to provide a superb catering service for those wanting to hire our entertainment facilities. The Club regularly hosts Weddings and Anniversaries, with catering ranging from finger buffets through to full Silver Service. For those that want real privacy we can offer the Barrett Suite, with superb views overlooking the golf course, leading out onto a seated balcony area. The Tap Inn/Function Room holds a maximum of 110 people. First Floor Barrett Suite holds 40 people. Bar area holds 40 people. Telephone 01287 622812 (Ext 4 for the bar and to speak to our catering staff).